A Riley County Soil Health Workshop will be held on Thursday, March 8, at Pottorf Hall, CiCo Park in Manhattan, Kansas. The workshop will begin at 9:00 a.m. and conclude at 2:00 p.m. 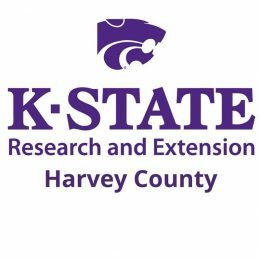 The workshop is hosted by K-State Research and Extension and the Natural Resources Conservation Service. The workshop will discuss and highlight recent cover crop research and how cover crops relate to soil health. The event is limited to 200 people, so don’t wait too long to register! After harvest, many producers might head to the field for deep tillage such as ripping, or to make earthwork repairs around the farm. A few days before you want to start these activities, it’s worth a call to 811 for your safety and to prevent expensive damage to underground utilities. The website http://call811.com has easy-to-follow instructions for requesting this free service and detailed information concerning why you need to know what’s below. Sadly, fatal accidents do happen in soil excavations. If you dig any trenches or soil pits, safety should be considered from the very beginning of the project. Soils with sandy textures are more susceptible to a collapse than soils with a higher clay content. If standing water is present in the pit, the walls are more apt to collapse. Soil clods or excavating tools could roll back into the trench and cause injury to occupants. Reduces the risk of a trench collapse by keeping the weight of the soil piles away from the trench edges. Even if a soil pit is 4 feet deep or less, it is a good idea to angle the edges of the soil pit. This does create more disturbance, but if it prevents an accident, it’s worth it. Soil testing can be done in either spring or fall on hay fields and pasture. Given a choice, fall would be the preferred time because it allows more time for any needed lime applications to have an effect before the main growing season begins, and it gives the producer some flexibility for planning nutrient applications.